If these comments sound familiar, could be your home is in need of a facade face lift. This is often the solution for a client lamenting their lack of “curb appeal” or the mediocre “first impression” of their home. 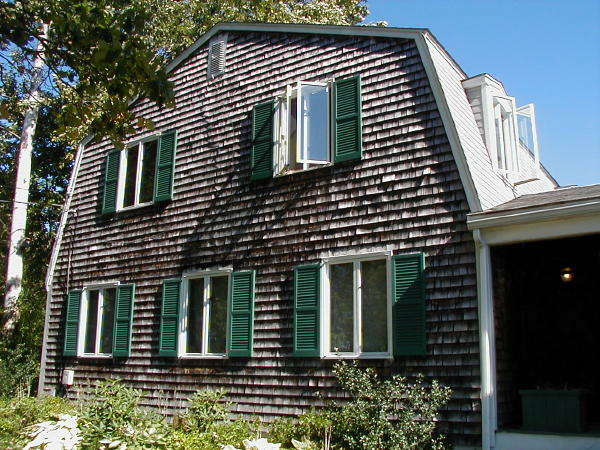 A major structural change or a new paint job isn’t your only recourse for a significant facade improvement. Oh yah, I’ll evaluate your plantings too, after all, that’s how I make my living. But simple structural add-ons, some windowboxes, trellises, a new landing or walkway can make a big impact at a reasonable cost. 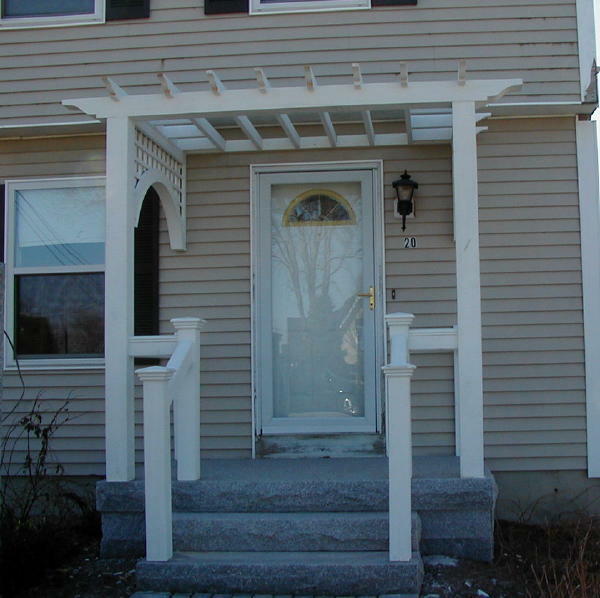 Adding a new arbor directs visitors from the front driveway/parking area to the entry door the homeowner wants them to use. It not only frames the view, but gives an Asian touch and preview to the interior decor. 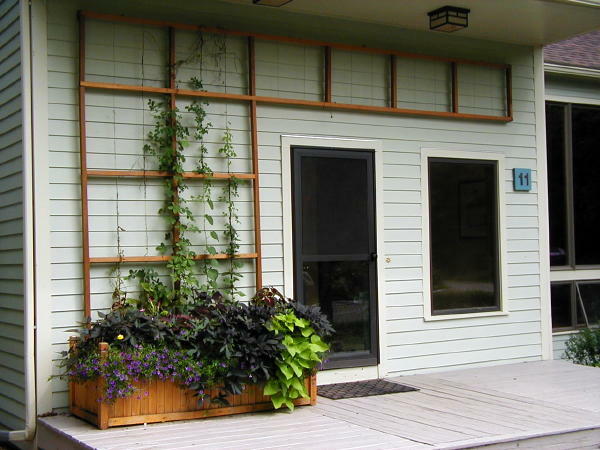 The homeowner made the custom trellis from my design – its pattern repeats the shape of the upper windows, adds interest at the entry to fill the blank wall and balances with the door and window shapes on the facade. 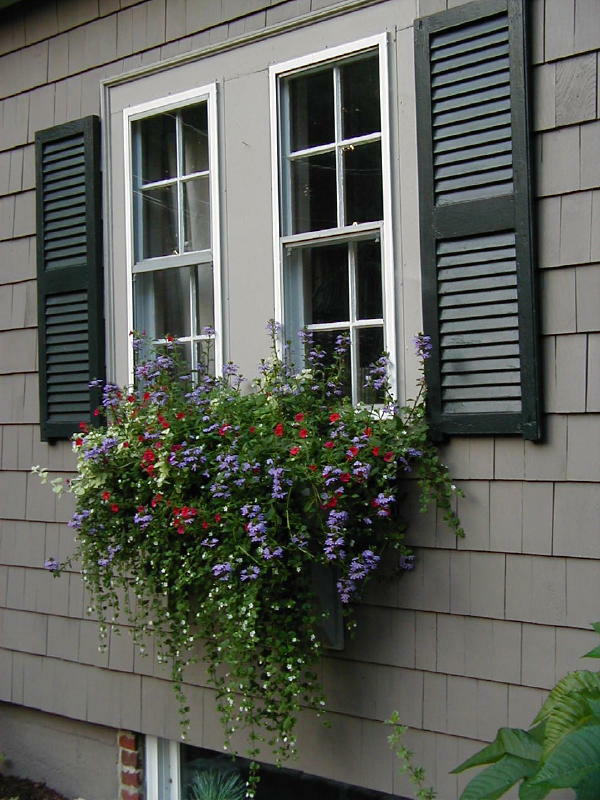 The perennial vine used in the cedar planter keeps from year to year, but the varieties and colors of the annuals can change each year to give a whole new planting look. 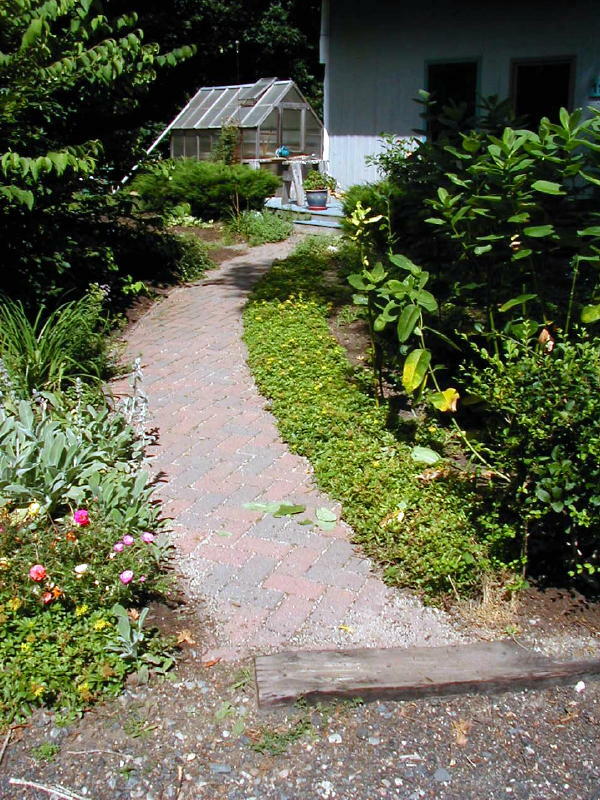 A secondary Bluestone walk with gravel was added for circulation between the greenhouse, front entry and the right side steps that lead to a screen porch. 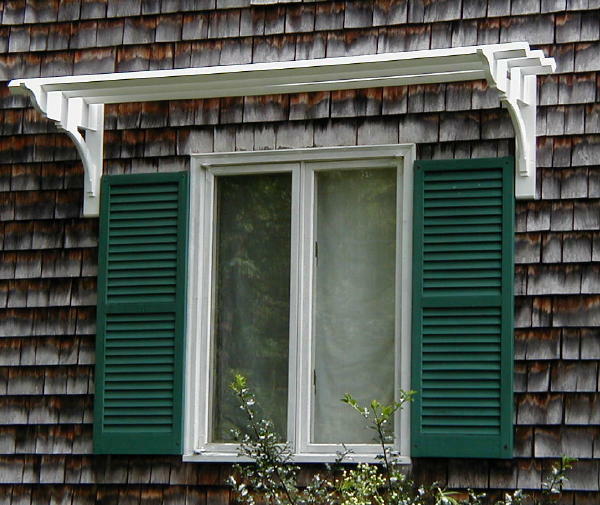 The awning trellis around the 3 lower windows is just enough to add character and draw the eye down from the massive Dutch Colonial facade…now even the plants are more noticable. 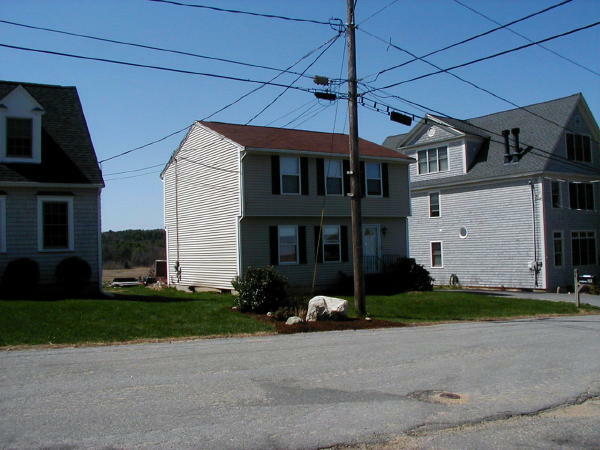 This homeowner said, “My house disappears with the larger houses next door on both sides. I need something to draw attention to my house”. 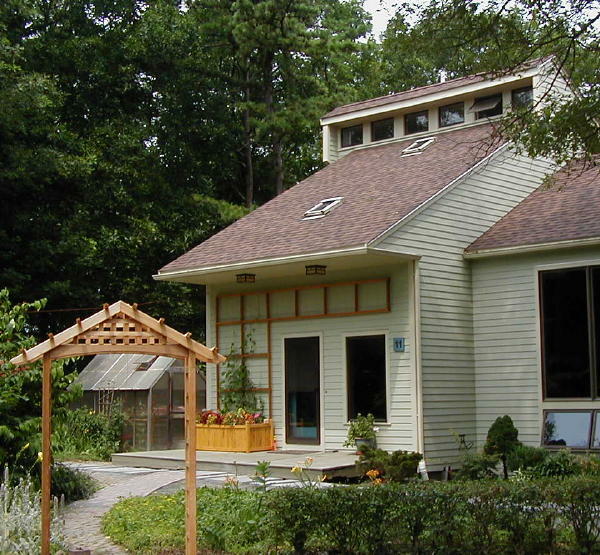 The plantings were completely redone and a large tree was transplanted from the backyard to fill and cover the left side of the house where there are no windows. 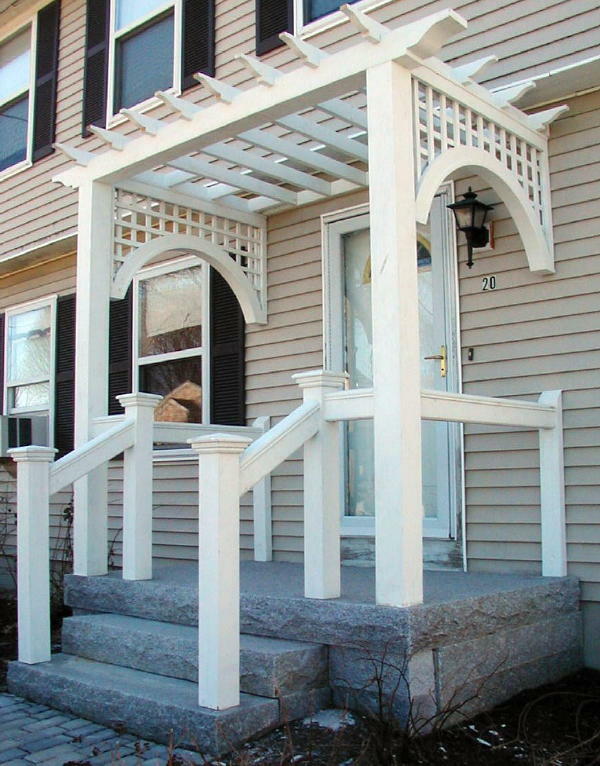 The front entry needed scale added to draw attention away from the neighbors homes, so a new Granite Porch, steps and wood Pergola with railings were added to give it a new focal point, not to mention “curb appeal”. 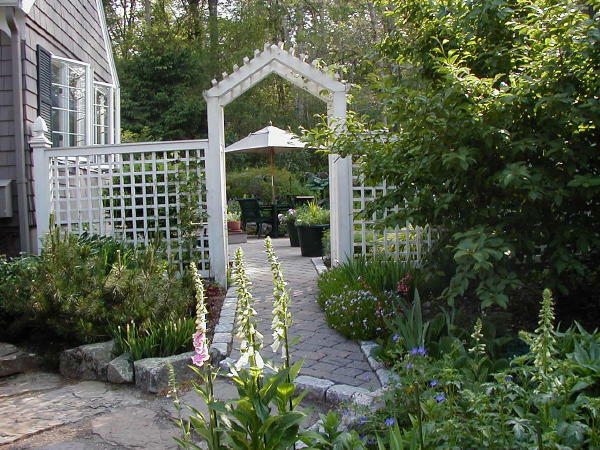 Here an Arbor and Trellis Fence are used to connect the narrow garden space between the house and a property line hedge, while framing the “Garden Room” for privacy from the street view. 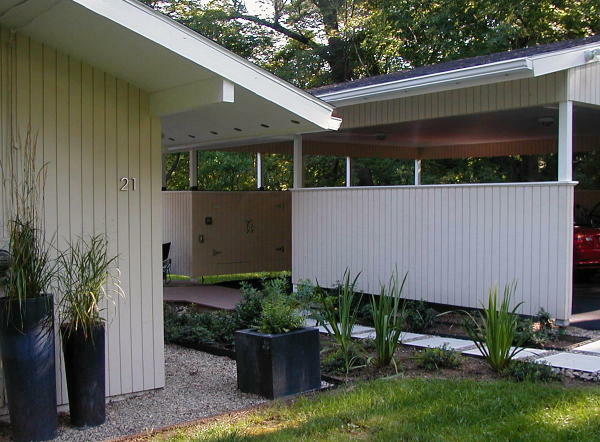 After a new car port was added next to this mid-century style house, the owner wanted to unify the space between the entrance at the side, the car port wall and the driveway. 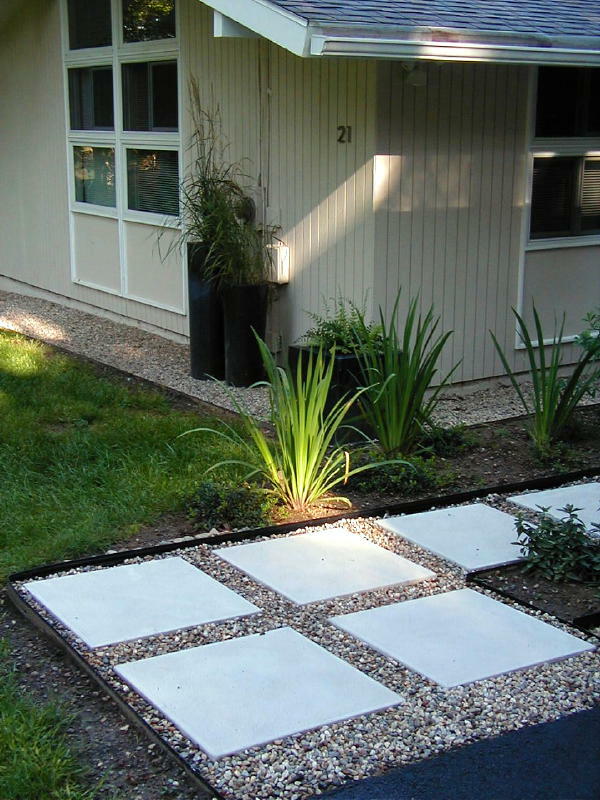 We used left over concrete pavers (purchased from a neighbor) set in gravel for the stepper path from the driveway to the side entry deck. Again, the square pattern of the windows is replicated in the path material to create unity and interest. 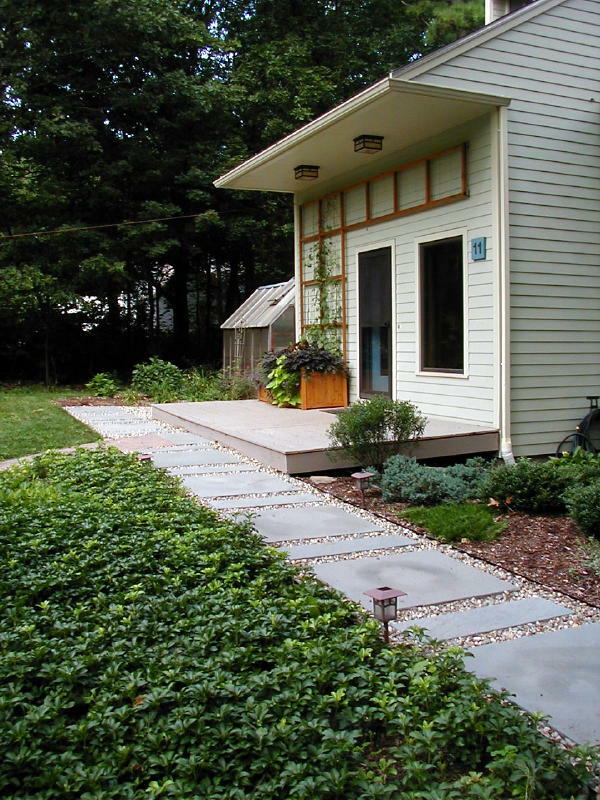 The concrete stepper path blends well with the house style and a wide, gravel dripline seperates the lawn from the foundation to make mowing easier. 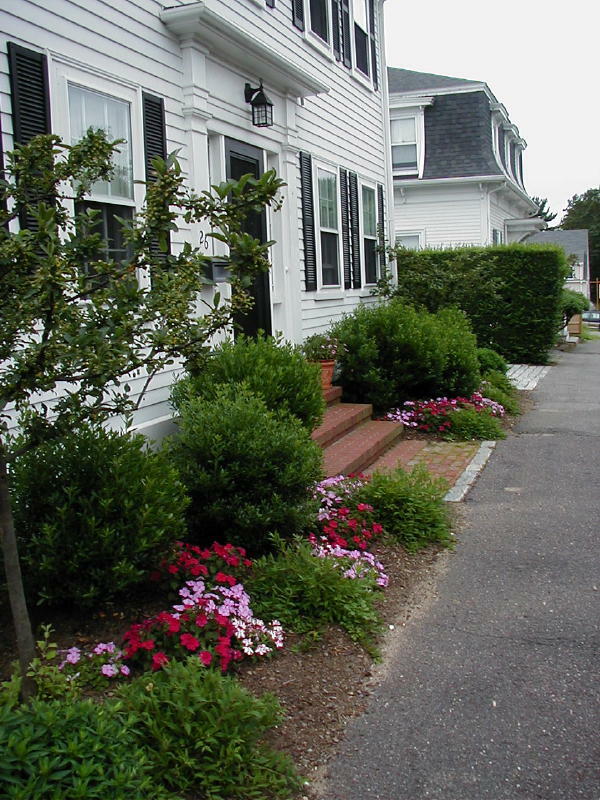 If your house sits close to the street or sidewalk, think about eliminating any narrow strip of grass and just go with plantings in scale with the bed depth and front windows of your house. AFTER - The brick landing is re-laid with a cobble accent strip and new plant selections are tough enough to survive road salt and winter plowing. Annuals are added to beds each year for summer color. 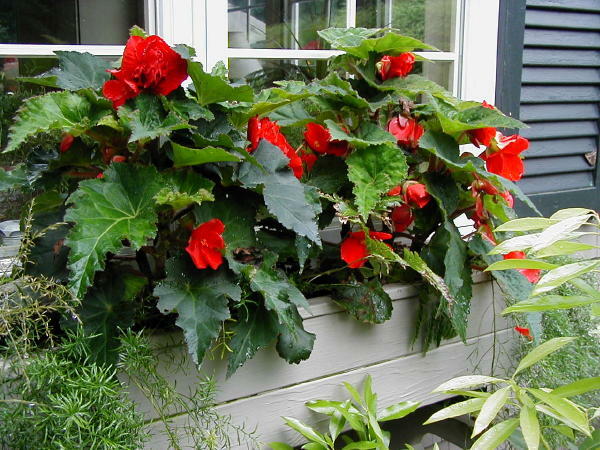 You can always use matching planters to frame a doorway, clamp-on planters spilling over with plants on a railing, or add widowboxes bursting with annuals for an inexpensive, quick fix to add color, scent and eye candy to any entry or facade. 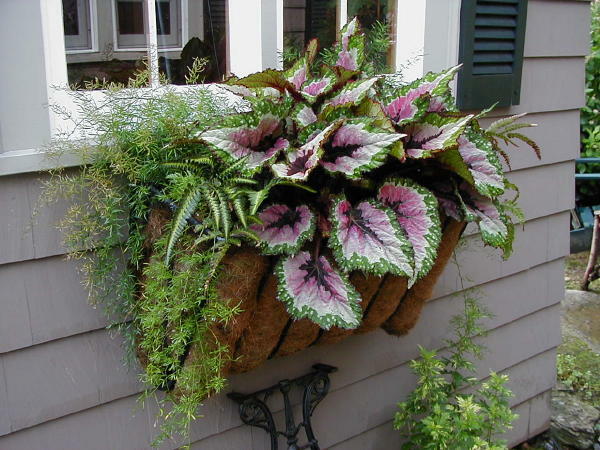 Try putting your houseplants outdoors in unique wall planters this summer. It gives them a growth spurt while they perk up a shady area or covered porch. Happy Spring! It’s just around the corner. 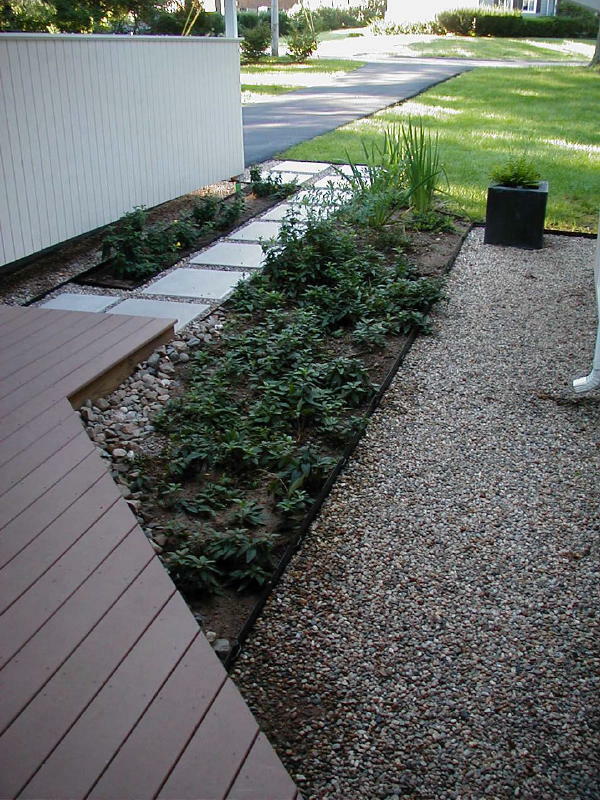 This entry was posted in Arbor, Curb Appeal, Facade Improvements, Front Entry, Planters, planting, spring, Structures, Trellis, Uncategorized, Walkways, Windowboxes and tagged Arbors, Curb Appeal, Facade Improvements, Front Entry, Planters, Planting, Spring, Structures, Trellis, Windowboxes. Bookmark the permalink. all of your images are so beautiful and inspiring! I particularly appreciate how many different examples of facade facelifts you provide. 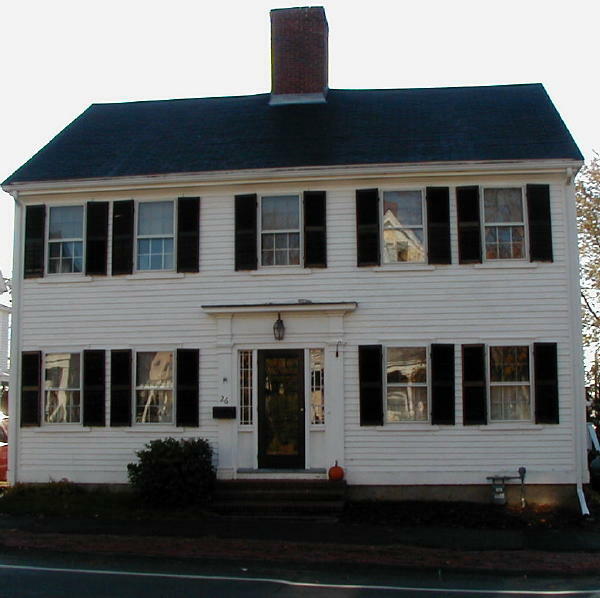 Great before and after photos. The cedar planter/trellis combination might work for us on our patio. Thanks for the inspiration. And it is not hard to see why your phone is ringing!!! 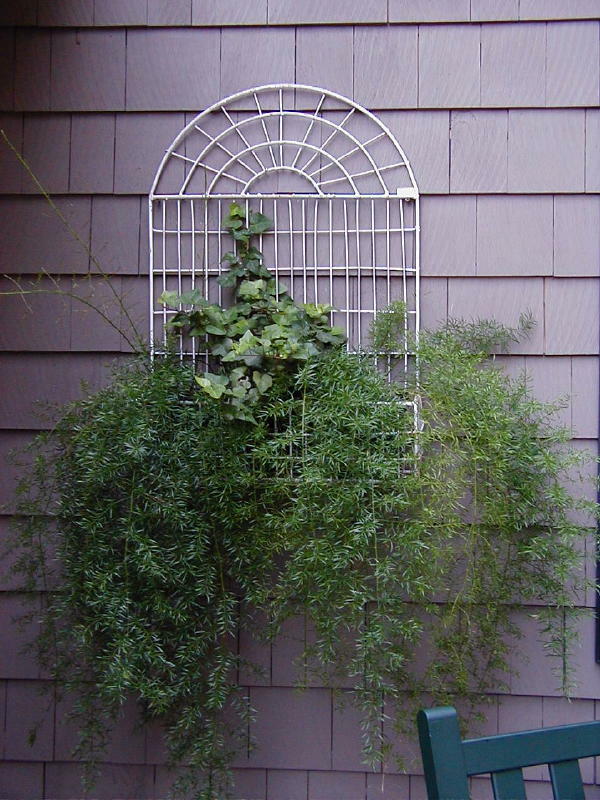 The right vine selection is also a key factor when adding a house trellis…keep that in mind. Go for it! For me – and I’ll bet a majority of “Connect the Dots” recipients, find these illustrations the most readily applicable of your emails to date. Before and After examples are always winners! 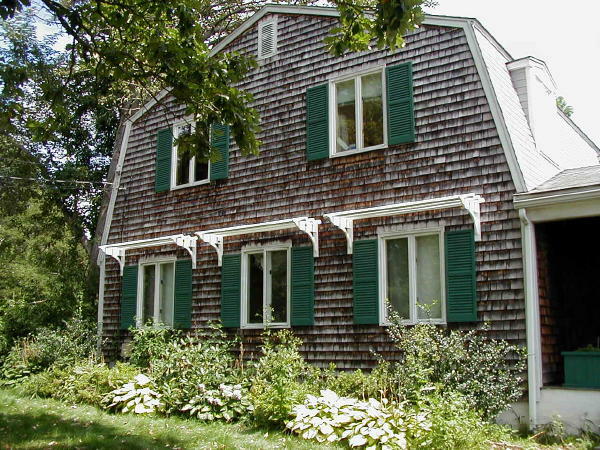 They represent common problems most homeowners experience. Thanks for your feedback, Valerie, and for being a loyal reader of the CTD Newsletter.